This 3 bedroom, 2.5 bath west side home has the best of both worlds with a wooded backdrop and winding, tree-lined street that feels like you're in the country, but you're actually within walking distance to all the amenities of grocery stores, movie theater, Walmart, home improvement stores, major restaurants, banks, library and more. It is also minutes from University of Southern Indiana, parks and walking trails. The home has hardwood floors, garden tub, attached 2 car garage, fenced yard, a walkout basement, 200 amp service, and a very large driveway for multiple cars. There is a lot of square footage for the price. 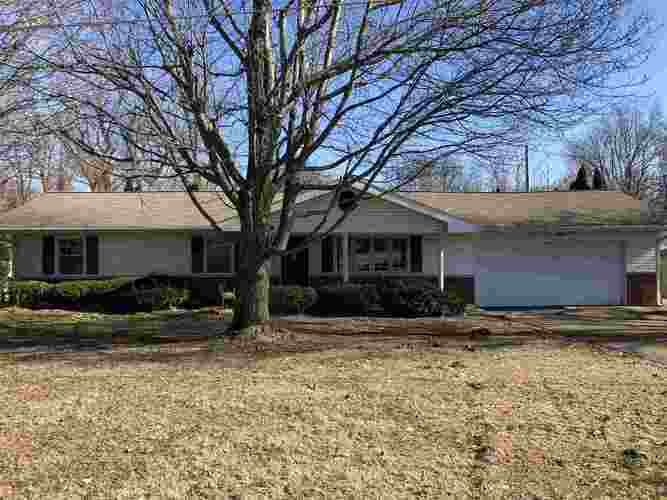 This ranch home has great curb appeal but is being sold "As Is". Directions:West on Lloyd Expressway, Left or South on Red Bank Road, approximately one mile on the left.